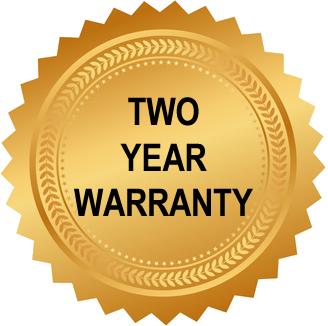 2 Year Warranty: All ADVACO pump rebuilds are covered by our exclusive two year warranty, from the date of installation, against defects in parts and workmanship. ADVACO provides the highest quality rebuild service available for your Anest Iwata, Edwards, Leybold, and Varian scroll pumps. As an independent rebuild facility, ADVACO offers a truly objective rebuild service with the sole goal of keeping your existing vacuum equipment running. Parts and labor guaranteed two full years from the time your pump is installed at your facility. ADVACO documents the entire repair process and saves this information for future reporting and data analysis if needed by our customers. ADVACO offers three failure analysis options to meet your budgetary and data collection requirements. Ensuring high reliability and durability. ADVACO's quality system is ISO9001:2015 registered. Calibrated test equipment and components are utilized to verify and record all official operating parameters, and the output is provided with each shipment. Registration with EPA #MDD985419076- for proper disposal methods. ADVACO will meet your delivery requirements. Customer specific programs can be designed to maximize pump life. Expedited service available upon request. Available everywhere - we can coordinate the transport of your equipment to and from your facility. Enables us to remanufacture major parts to reduce cost and maintain serviceability. Click Here to read more about ADVACO's - Best Service - Best Warranty - Best Experience. Certified Vacuum Technicians utilizing specially designed and calibrated instruments will thoroughly inspect all of the unit’s components (including electrical and diagnostic systems) vs original OEM specifications. All consumable items quoted for replacement. Major components that do not meet original OEM specifications are quoted for replacement or re-manufacturing in our in-house machine shop (at considerable cost savings). Unit will be re-assembled in one of our dedicated manufacturing cells. Extensive post re-manufacturing testing via proprietary software/hardware generating graphical data certifying both ultimate vacuum and pumping speed. Applicable equipment software verified and re-set (run hours, etc.). - Start typing to search pump models we service. Don't see a pump you are looking for? Contact Us Today. 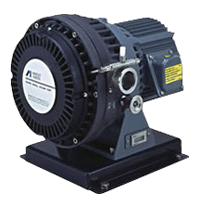 We offer expert rebuilds, remanufactured units, and technical assistance for your vacuum pumps. Select an option below so our team can help you as quickly as possible.